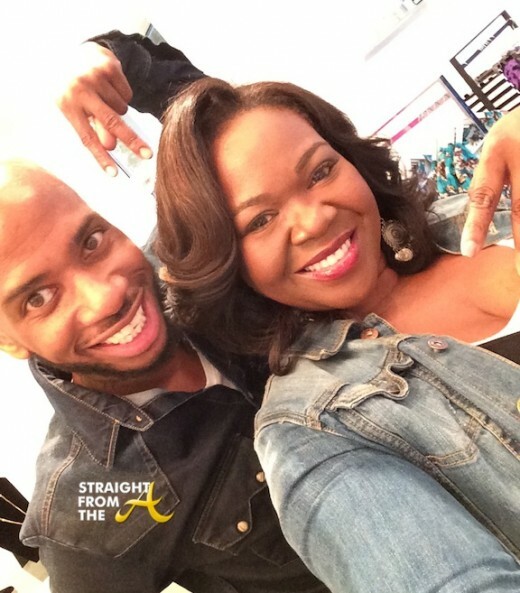 Fashion designer Reco Chapple has become somewhat of a middle man this season on Married to Medicine with his friendships with both Mariah Huq & Quad Webb-Lunceford being caught in the balance. I’ve written about the infamous STK incident on more than one occasion (click HERE if you missed that) and even battled with Mariah just last week about the ‘facts’ via twitter. Now Reco sits with me to tell his version of why the two M2M ‘divas’ are battling each other and also addresses why he’s willing the be the scapegoat in their ongoing battle. 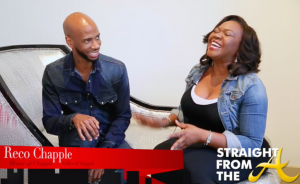 Mariah Huq of Married to Medicine recently did an interview about the STK incident that has been the constant topic of discussion on the Atlanta-based reality show. As I stated previously, I was actually at STK when the entire incident occurred (click HERE if you missed that), so I felt ‘some kinda way when Mariah stated in her interview that I ‘was just doing what bloggers do‘ and making up stories about that night. And no ma’am. I was not…. Married to Medicine (aka Doctor’s Wives) is chugging right along and the 5th episode of their 2nd season aired last night (May 4, 2014). I missed episode 4 last week, but apparently I didn’t miss much because it seems like Quad Webb-Lunceford and Mariah Huq’s fading friendship is still the topic of conversation. This week the ladies bump heads during a ‘Women’s Empowerment’ conference and rehash their STK drama again. Quad hires a new designer to help launch her puppy clothing line. 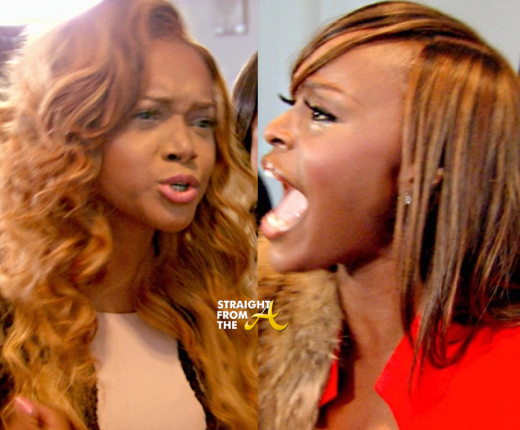 Tensions flare at Lisa Nicole’s speaking event when Toya confronts Dr. Simone on her bad behavior. The fighting continues to spiral out of control as Quad and Mariah come face to face in an explosive showdown. 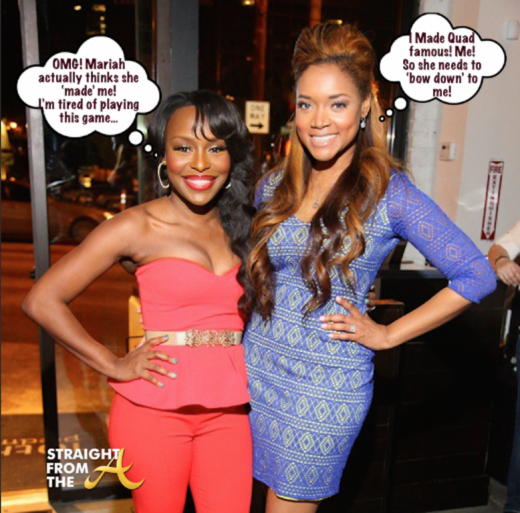 Married to Medicine aired the 3rd episode of it’s 2nd season last night (April 20, 2014) and we finally get to find out why Quad Webb-Lunceford and Maria Huq’s friendship has dissipated. It seems that after Quad became the ‘fan favorite’ last year, her good friend Mariah is feeling some kinda way. The tension between them exploded last September at STK in Atlanta right in front of my eyes. Season 2 of Married to Medicine, the BravoTV reality show that focuses on doctors and the wives of doctors in the Atlanta, Georgia is headed back to the airwaves soon. Mariah Huq, her ex-bestie Quad Webb-Lunceford, Toya Bush-Harris, Dr. Jacqueline Walters, and Dr. Simone Whitmore all return for a second season and you may have noticed that the token White chick is missing from the new cast photo above. Lisa Nicole Cloud & Dr. Heavenly Kimes have been added and are the newest additions to the M2M cast for season 2.